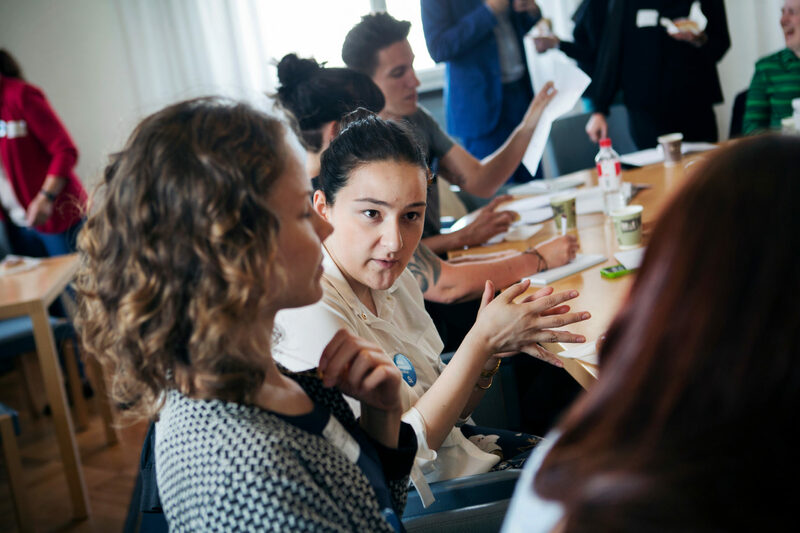 Are you interested in learning more about sustainable modern governance, and to meet other young professionals from the Baltic Sea Region and the EU Eastern Partnership? Apply for the SI Summer Academy for Young Professionals. 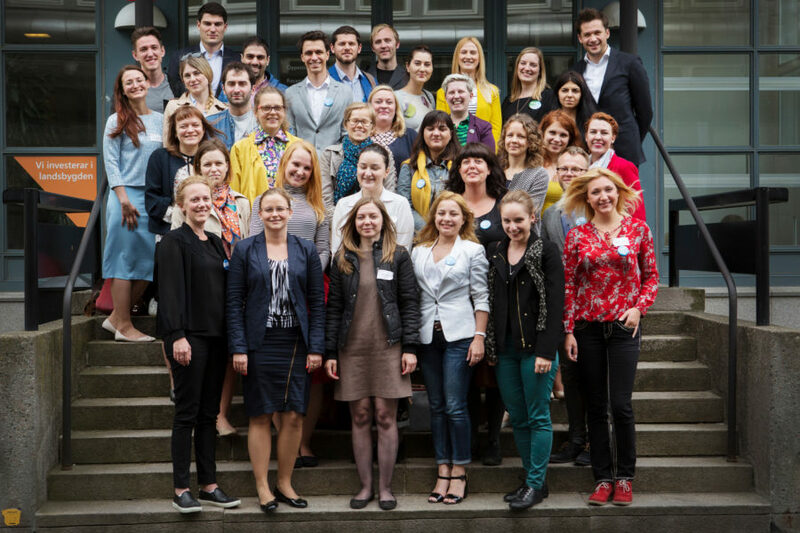 The SI Summer Academy for Young Professionals (SAYP) is a training programme developed to build new networks, knowledge and practices for increased transparency, efficiency and resilience in public administration in the Baltic Sea region and in the EU Eastern Partnership countries. The programme also aims to strengthen young professionals and their individual capabilities to meet the requirements of a modern governance structure. In the SAYP, the participants will be able to expand their own contact networks and share ideas, experiences and challenges. the first takes place in the participants’ home countries in the form of preparatory meetings/webinars and/or reading of material provided by the thematic module organisers. The module is followed up in the participants’ home countries during autumn, in the form of events, such as study visits or workshop, or follow up project work. SI also offers SAYP alumni exclusively the opportunity to apply for Peer shadowing, a short-term mobility grant which allows for week-long visits to an organisation in another country, where the visiting peer can closely follow/shadow one or several colleagues to observe/study how their workplace/organisation is structured and functions in practice. Read more here. All participants will become members of the SI Alumni Network, a vast professional and global contact network meant to keep building good practices and mutual learning processes for a sustainable future. As member of this network, participants have the opportunity to participate in upcoming alumni events and workshops on themes relevant to their area of expertise. The programme is targeted primarily at young professionals already employed in the state structures, working with development of policy and measures to create a more transparent, resilient and efficient public administration. But SAYP has a cross-sectoral ambition and we also welcome participants from other parts of the society, if the thematic focus of the module is relevant for the candidate’s professional development, and to the work at his/her home organisation. Citizens of other countries in the Baltic Sea Region who are currently employed in one of the participant countries may also apply, but will not have priority in the selection. If you are looking for SAYP Western Balkan, please go this page. Choose a module that you find interesting and relevant to your professional development (see a short description of the modules below). Keep in mind that while it is possible to apply for several of the modules, you may only attend one of them. Therefore, in the motivation letter you should select which modules you are interested in, and in what order/priority. Scroll further down to see short descriptions. This year, Lund University will handle the application and selection process for the module at Lund University. For the other modules (in Tbilisi, Malmö and Gothenburg) applications will be handled by Si in cooperation with our recruiters. NOTE: If you want to apply to both a module in Lund, and one of the others, you will therefore have to submit your application in both channels. Keep in mind that while it is possible to apply for several of the modules, you may only attend one of them. Therefore, in the motivation letter you should select which modules you are interested in, and in what order/priority. Cross-checks will be done before final selection. Managing migration and integration remains one of the primary challenges facing the overall European Union, the Baltic Sea Region (BSR), and the Eastern Partnership (EaP) countries. Within the EU, this challenge is most visible in terms of responses to the ongoing Syrian refugee crisis and the need for sustainable policies and administrative practices to foster refugee inclusion. For the BSR countries of Estonia, Latvia and Lithuania, an additional integration challenge exists in the form of the large number of Russians who remained following the dissolution of the USSR, with issues regarding official languages, discrimination and majority-minority relations remaining particularly contentious. For both Georgia and Ukraine, the most pressing challenge is to devise policies and measures addressing the needs of internally displaced peoples (IDPs) in the wake of recent conflicts. In Moldova, managing migration has centered on the societal impact of seeing over a quarter of the population emigrate. Lastly, the case of Belarus, a transit country for refugees seeking to enter the EU and without an advanced asylum management system, highlights unique circumstances when it comes to managing refugee flows and ensuring fair treatment under international law. Against this backdrop, the first aim of the proposed Swedish Institute Summer Academy for Young Professional module is to assist public servants, policymakers and civil society workers in developing a more comprehensive understanding of the diverse political, societal, and administrative challenges associated with migration and integration relevant to EaP, BSR and other EU states. The second aim is to focus on identifying good practices, all levels of governance both within the EaP, the BSR and the broader EU. Such practices can serve as concrete inspiration for public servants, policymakers and civil society workers in a range of settings, allowing for more coherent and sustainable responses to migration and integration challenges, and ultimately resulting in more inclusive societies. The module is co-organized by experienced researchers and practitioners from Sweden and Georgia, allowing for an emphasis on broad migration and integration challenges facing societies, as well as the responses from specific BSR and EaP states. The module relies on a mix of lectures, problem-based learning exercises, seminars and project work, providing participants with a rich analytical and practical toolkit. Additionally, as the module will be held in Tbilisi, Georgia, there will be an opportunity for two study visits highlighting the experiences of an EaP country in meeting practical migration and integration challenges through collaboration with the international community, especially the EU and its member states. The module will include both a preparatory activity to allow participants to work together in pairs to identify themes of particular relevance, and a follow-up activity leading to the development of a website targeting stakeholders that will include essays, text interviews, action/policy briefs and podcast interviews. Participants will also have the opportunity to learn more about Georgian culture, society and cuisine through a series of cultural and social activities, held both in Tbilisi and historic Georgian villages. The interactive design of the module – emphasizing collaboration and collegiality – will result not only in new knowledge and inspiration regarding pressing issues, but an expanded professional network and new friendships. Sustainable Public Management aims to strengthen young professionals in their work to create a more transparent, resilient and efficient public administration. The module consists of two parallel tracks. The first track is structured thematically and will cover topics such as: public management, governance, transparency, leadership, gender equality and public ethics. Each topic is introduced by a lecture, followed-up by a group seminar, and completed with a practically oriented seminar with representatives from a Swedish governmental agency, or a civil society organisation. The idea is to within each theme move from a theoretical and research perspective to a more practical and tool-oriented discussion. The Swedish cases presented at the seminars will serve as examples for discussions on issues pertinent to all public servants or civil society activists, regardless of cultural or organisational context. The second track is oriented towards project management and group-work. Throughout the course each participant will participate in a multinational group exercise working with specific tasks in order to facilitate mutual learning processes. Specific focus will be directed towards cross-sector collaboration and social- and public innovation. At the end of the module each project group will present a project connecting to one or several themes of the module. The group work will be facilitated by a series of lectures on project management with focus on cross-sector collaboration and social- and public innovation. Read more about this module on Malmö University’s website. Digitalisation is characterizing our time in many different ways and challenging all parts of the society when opening for new practices. Public administration is indeed influenced by the digitalisation both by new demands from citizens and other actors using the technology and forming new social practices and internally by demands from professionals and policy makers aiming to improve public efficiency, transparency, accessibility, equality and other public values by smart use of digital technologies. Digitalisation of the government services and administration is integrative and all-embracing processes is grasped by the concept e-government. When e-Government develops there is a search for new ways for governments to be sustainable, legitimate and effective and gain the confidence of citizens required to state. Inclusion is a basic value of governmental activities, and thus e-government has to be designed to reach everyone and manage public organisations at local as well as global levels. There are needs to continuously strive for a more sustainable e-government, where resilience and innovation is guiding the modern democratic public administration. The aim of this thematic module is to develop skills and address challenges around sustainable e-government in a digital society through an interactive learning anchored in both theory and practice. The pedagogical approach focusing on interactivity, knowledge building, sharing and application characterizes the entire module. The module is preceded by small, preparatory pre-studies in the participating countries and two webinar discussions on the goals, expectations and the work methods in the module. The thematic module is based on a number of key interactive lectures, mirroring sessions and case studies – led by researchers and practitioners from Sweden, with focus on challenges, lessons and best practices. The discussions from the lectures are subsequently mirrored in smaller work groups so that they focus more specifically on reflections and questions that connect to the respective countries realities and challenges such as transparency, effectiveness, equality and legitimacy. The participants will continue to specify and anchor their knowledge by working with case studies, where they will collaborate with each other to discuss salient, common or hidden problems. A number of study visits, meeting regional and national key actors in development of e-government are included in the module. Networking and informal discussions on the topic, inspired from the Swedish history, food and nature will be part of the social events in the module. A final and important element in the module are the following-up opportunities for supervision and cooperation to further develop the analyses produced in the case studies in form of conference papers, workshops and/or projects. Hereby we hope that the participants will develop skills and address challenges around sustainable e-government in a digital society and bring their knowledge and competences back home to their organisations. Read more about this module on Linköping University’s website. The thematic module, Perspectives on Multi-level Governance, Decentralisation & Human Rights, focuses on decentralisation within public administration and how human rights can be implemented on a regional and local level. The module combines theory with a high level of practice, including lectures, seminars/workshops with experts from Lund University, with study visits to relevant organisations and institutions. This combination enables the participants to get a deeper insight in public administration, as well as exchange experiences and establish new contacts and networks between all participating countries. The module will have a clear focus on decentralisation of public administration and implementation of human rights on regional and local levels. After finishing the module, the participants will have an enhanced knowledge of these issues and have gained tools that can be used in working within this area. The participants will also have gained knowledge about Swedish public administration, and about methods for working with development and human rights in a decentralised public administration. The participants will also gain new contacts and establish new networks for their future work. The thematic module is held during two weeks at Lund University in Lund, Sweden. An average day has around 6 hours of scheduled activities, with a mixture of lectures, workshops, seminars and study visits. Study visits to relevant organisations and authorities will be organised in order to connect the more theoretical parts to practice, and to give the participants a chance to expand their networks. Prior to the start of the thematic module in Lund, there will be a pre-module with independent studies/tasks for the participants through the online platform. The participants will also have the opportunity to apply for funding for follow-up activities after the end of the thematic module in Lund. Read more about this module on Lund University’s website. Motivation letter according to the SI template. Motivation letters in any other templates or formats are NOT valid. Make sure to read the questions in the Motivation Letter thoroughly and be specific and personal in your reasoning. Without exception, answers may not exceed the allowed number of characters (letters and spaces) for each question. Curriculum Vitae (CV) in the Europass format of maximum 3 pages. A CV submitted in any other format than the Europass is NOT valid. Additional pages will be disregarded. It is recommended to use the SI template. Remember that a letter of reference that is not signed is NOT valid. If you do not have an English language certificate, prepare the SI template to be submitted with your application. An English language teacher or other professional, who can evaluate your English language proficiency, may sign the template to validate your English language level. If you have completed a master’s- or PhD degree in English, you may use the diploma as a certificate. To participate in SAYP 2018 we will require at least English 6 or Independent User B2 (in average) according to the Common European Framework of Reference for Languages. This year, Lund University will handle the application and selection process for the module at Lund University. For the other modules (in Tbilisi, Malmö and Gothenburg) applications will be handled by Si in cooperation with our recruiters. NOTE: If you want to apply to both a module in Lund, and one of the others, you will therefore have to submit your application in both channels. Keep in mind that while it is possible to apply for several of the modules, you may only attend one of them. Therefore, in the motivation letter you should select which modules you are interested in, and in what order/priority. Cross-checks will be done before final selection. Participation in SAYP is free of charge and includes meals, accommodation and travel. I am a citizen of one of the programme countries but currently working in a different country, can I apply? If you are a citizen of one of the programme countries and currently working in another of the programme countries, you can apply. If you are not currently working in any of the eligible countries according to the above you cannot apply. Can I attend two thematic moduels in SAYP? No, you can only attend one thematic module. You can however apply for several. In this case you must rank your choices in the Motivation letter document. I am a SAYP alumni, can I apply again? Yes, you may apply for another thematic module than the one you previously participated in. However, other applicants may have priority in the final selection. I do not have an English language certificate, can I still apply? If you do not have an English language certificate, prepare the SI template to be submitted with your application. An English language teacher or other professional, who can evaluate your English language proficiency, may sign the template to validate your English language level. If you have completed a master’s- or PhD degree in English, you may use the diploma as a certificate. To participate in SAYP 2019 we will require at least English 6 or Independent User B2 (in average) according to the Common European Framework of Reference for Languages. When will I know if I am one of the selected participants? Successful candidates will be notified in late March – early April via email. There will be a reserve list for each module.